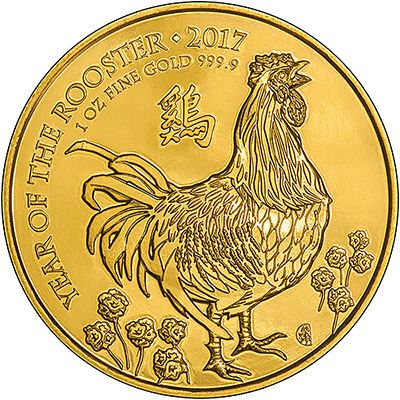 This is the bullion 1oz Year of the Rooster coin from the UK's Royal Mint. This is the one ounce gold bullion version of The Royal Mint's lunar coin series. 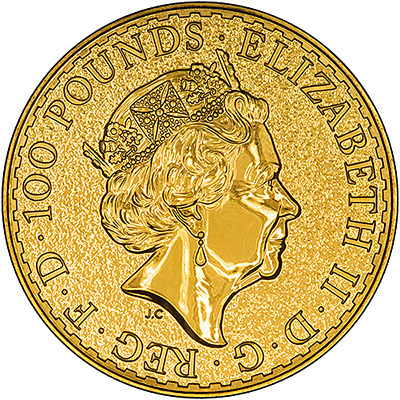 Struck in 999.9 fineness and containing one troy ounce of gold, these coins are Capital Gains Tax exempt and UK legal tender. The mint first started issuing lunar coins in 2014. This is the fourth coin in the series. This coin is the fourth coin of the Shēngxiào Collection, celebrating the Chinese lunar calendar. The coins have a mintage figure of 8,888. The number 8 is thought to be lucky in Chinese culture. The Year of the Rooster officially starts on 28th January, 2017. Those born during the year are thought to have certain attributes, including being confident, hardworking, honest and enjoy taking pride in their appearance.